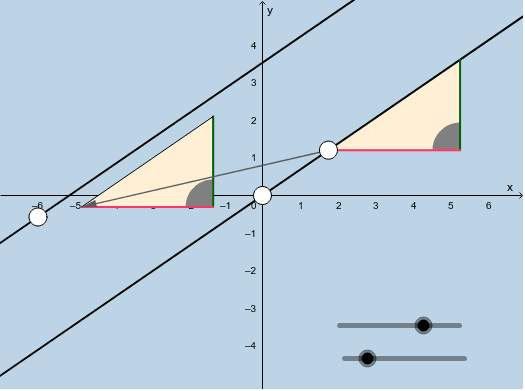 Two parallel lines are shown in the applet below. What coordinate geometry principle is dynamically being illustrated here? Feel free to move the white points anywhere you'd like! Feel free to tamper with the sliders too.